It's easy to lump Asimo into a stagnant pile of clips demonstrating a short robot waving, dancing and rolling down stairs since 2004. But as these 1/8 scale dolls action figures show, he's improved. 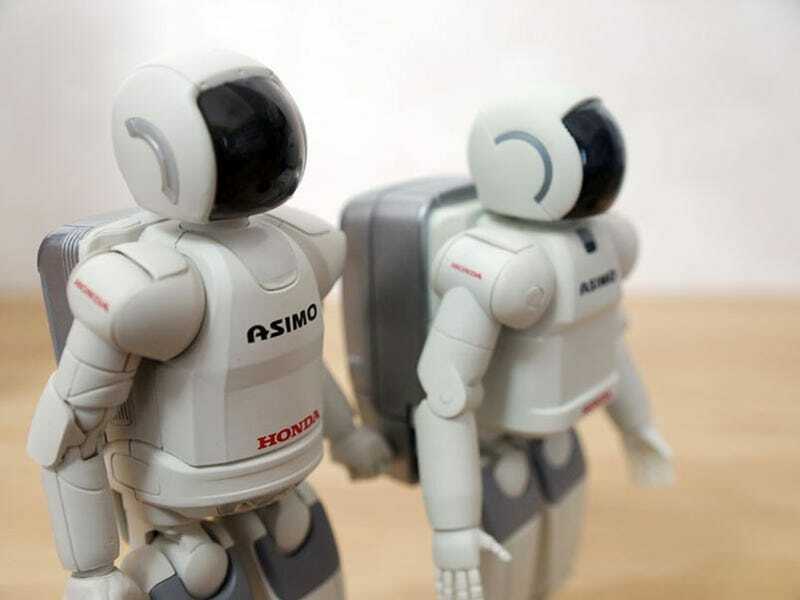 Honda has designed the latest Asimo to be thinner, taller, and carry a smaller backpack than Asimo of yore. And he gets a neck that can tilt. The result is a robot (or in this case, robotic action figure) that looks considerably less like an astronaut and more like a human...even if he's still no robot model. The 6-inch action figure is available for about $20 in Japan. Tempting, but I'll stick with my anatomically modded Barbies for now.